The KONG Cat - Tippin Treat is a fun interactive toy for your cat. The toys contains catnip, giving it a delicious scent. KONG Cat - Tippin Treat is a fun and interactive toy for your cat. The material of the toys is mixed with catnip. This gives it a delicious scent. The Tippin Treat wobbles back and forth. 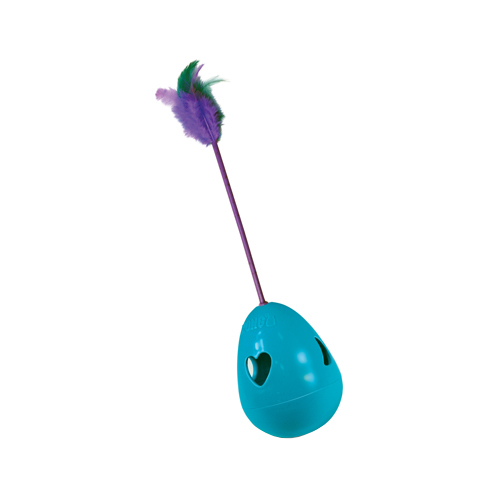 Because the toy has soft feathers on top, it keeps your cat's attention on the toy. It is also possible to hide treats in the toy. Have you used KONG Cat - Tippin Treat before? Let us know what you think about this product.